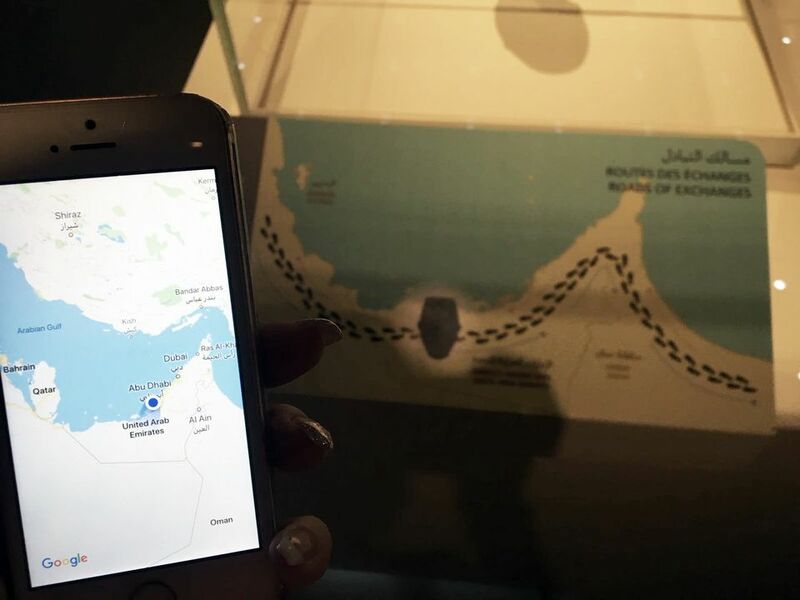 The Louvre Abu Dhabi is under fire after an image of a map in the museum that failed to include the Qatari peninsula went viral on social media. Located in the Children’s Museum at the recently-opened Louvre outpost in the United Arab Emirates (UAE), the omission has been interpreted by some critics as a direct attack on Qatar amid ongoing diplomatic tensions within the Gulf. In June 2017, Saudi Arabia, Bahrain, the UAE and Egypt cut off trade and diplomatic links with Qatar, after accusing the country of supporting terrorism—an allegation that officials from the oil-rich state deny. In a statement released on Monday, the museum said that “the inaccuracy was an oversight” and that the map has now been replaced. The Louvre Abu Dhabi opened last November, a decade after France and the UAE signed a reported €10bn, 30-year intergovernmental contract to create the museum. “Louvre Abu Dhabi is a universal museum which celebrates cross-cultural exchange and tolerance,” the museum’s statement adds. “In line with international best practice, our curatorial narratives are shaped by the historic and cultural context of the fascinating objects."